Tibet Riot flag used on March 10th 1959. The red flag charged with a snow lion facing the yellow sun with two white square and a diamond on blue vertical panel hoist. About the flag itself, I wonder if it couldn't be related to the Mimang Tsongdu (litt. : Popular Assembly), a local group showing its opposition to the Chinese occupation. 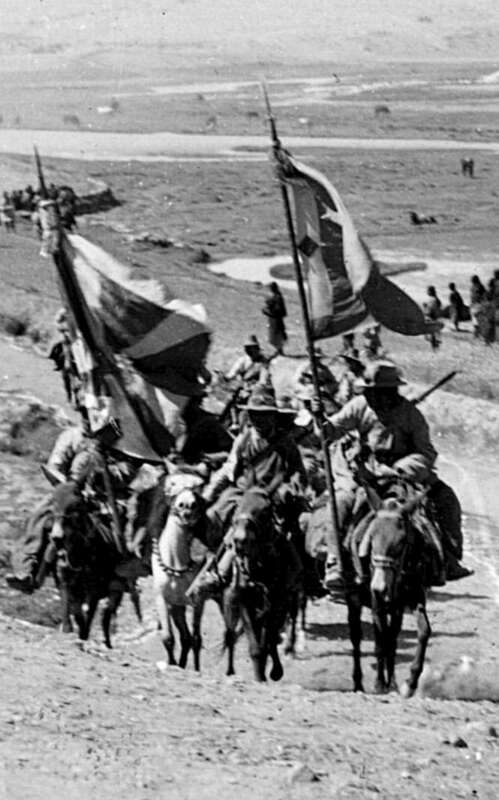 When the 1959 Lhasa riot broke out, the Dalaï-lama fled Tibet and the Mimang Tsongdu united together with a group from eastern Tibet, the Chushi Gandruk (see Tibetan Resistance) to form the Tensung Danglang Maggar (Volunteer Freedom Fighters for Tibet).